The MOMO-2 rocket crashes to the ground shortly after its launch on June 30, 2018. Photo Credit: Interstellar Technologies Inc.
Japanese startup Interstellar Technologies Inc. (IST) is continuing the development of its MOMO launch vehicle amid the recent failure of the MOMO-2 rocket that exploded shortly after liftoff. The company is investigating the exact cause of the June 30 failure, which saw the 33-foot (10-meter) tall MOMO-2 lift off from a test site near the town of Taiki on Japan’s island of Hokkaido before crashing to the ground seconds later after it lost thrust. The MOMO-2 rocket. Photo Credit: Interstellar Technologies Inc.
High-definition multi-camera video of the MOMO-2 launch has been released by IST and is available here: youtu.be/RJ4LK50TwVs. Although MOMO-2’s flight lasted just couple seconds, the data collected during this short period of time could be essential for further development of the company’s launch vehicle. The MOMO-2 rocket launch was IST’s second test mission that ended in failure. The first rocket developed by the startup, MOMO-1, was launched in July of 2017 but communications with it were lost about a minute after it had left the pad. The launch vehicle reached an altitude of about 12 miles (20 kilometers) and splashed down into the Pacific Ocean. IST is also working toward its next mission in its launch manifest—MOMO-3. However, although the exact date of the launch has not been disclosed, Inagawa said that MOMO-3’s flight should be expected within months. 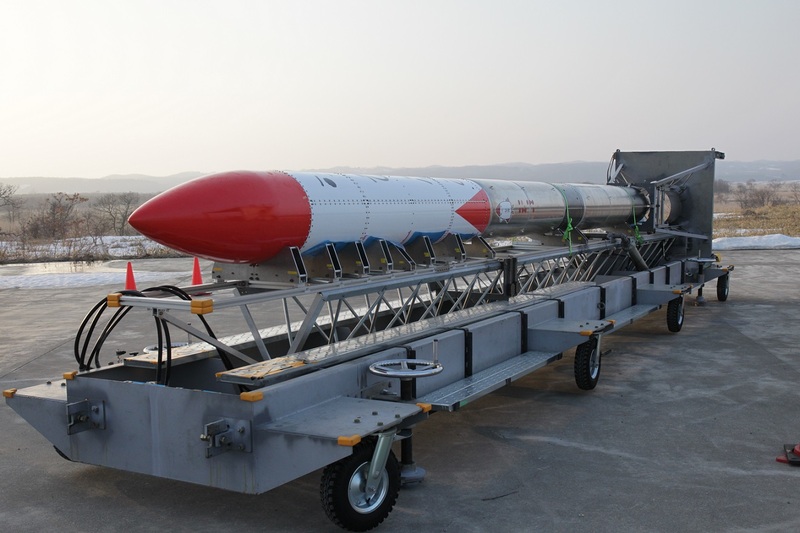 IST is the first and only active Japanese company to launch a privately developed space-bound rocket. The startup’s ultimate goal is to change the economics of space launch services, making it more economic to existing customers and accessible to entirely new markets. The company plans to become the first Japanese company to send a rocket into space. The MOMO rockets are sounding rockets designed to fly up to 44 pounds (20 kilograms) on suborbital trajectories to an altitude of over 62 miles (100 kilometers)—the boundary of space. The company eventually plans to develop an orbital-class rocket called ZERO, which could place up to 220 pounds (100 kilograms) into a sun-synchronous orbit. Video courtesy of Interstellar Technologies Inc.